It seems like summer just came here, and now we’re in July already! Soon back-to-school will be starting, and I’ll have a new list of fall projects, plus you can look for my fall collection of signs soon! 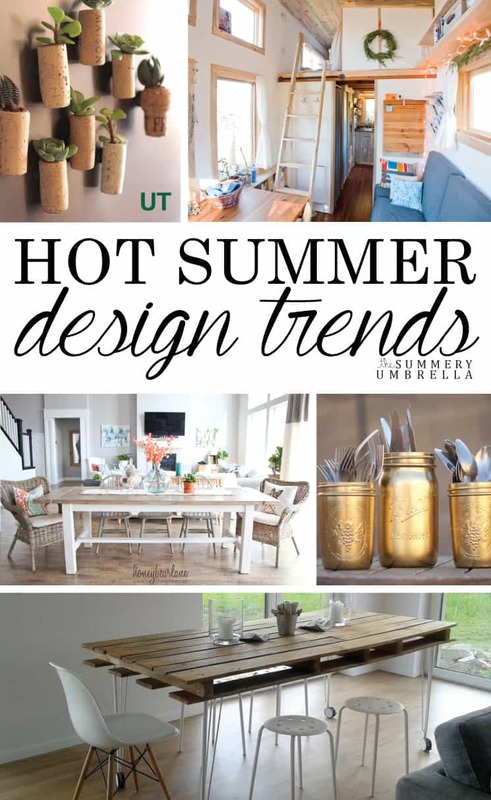 Browsing around at all of the great home decor blogs and artists that inspire me, I decided to identify the big summer trends of 2016. 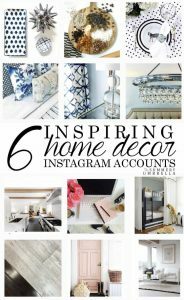 I know I’ve loved a few of these, and use some of them in my home now. It’s a timeless decorating choice, but farmhouse style seems to be back, and more popular than ever. 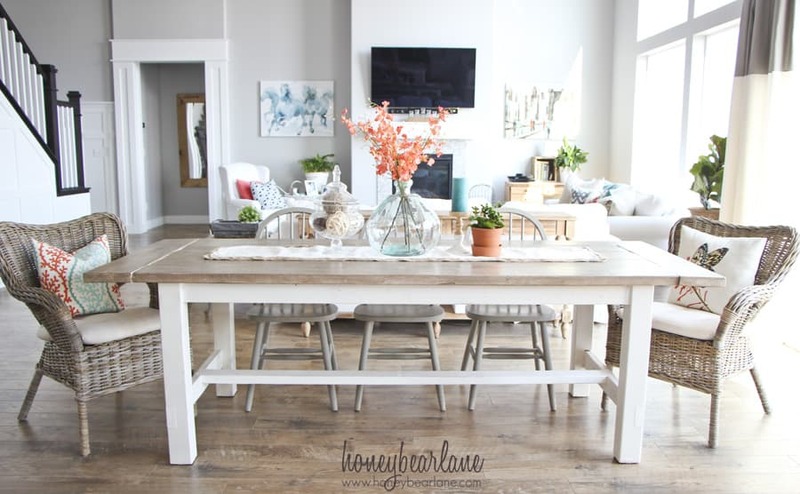 Seen on blogs and even on TV shows like Fixer Upper, farmhouse style is a classic. The simple and rustic look just adds a great warm feeling to any room. Elements like farmhouse sinks , burlap , and weathered pieces and more are just some of the good things in this style. We’re seeing value in what’s old, and making it new. Rebuilt and painted furniture seems to be everywhere! Taking a battered piece of furniture that’s lost its value and painting it with a new fresh style is all the rage. You’re saving a piece from the landfill, and giving it a new life. Win-win! I love some of the transformations I’ve seen with tables, dressers and more. I’ve even made a planter out of a dresser. 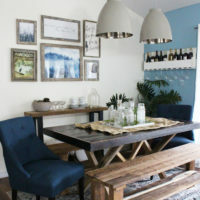 Wooden pallets are also being remixed into something new for the home, and I’m loving some of the pieces shared lately! 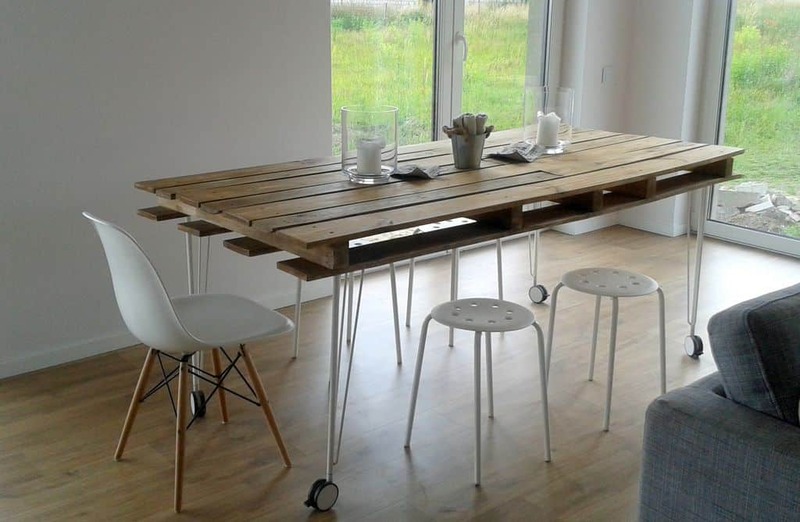 From pallet beds to pallet seats, you can make nearly anything from a pallet or two. Pallets can be easily found at local stores, and are a great thrifty choice; you’re also not wasting wood. 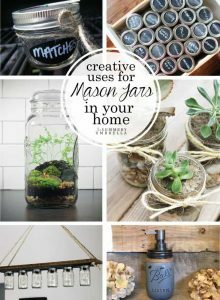 I’ve already shared my favorite Mason jar projects, including some I’ve created, but painted Mason jar are so fun! They’re whimsical, and I love the way they can brighten up any room. You can paint them nearly any color and wham, instant statement! 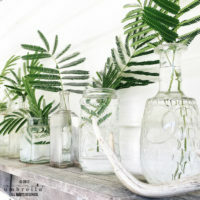 Striped and metallic painted Mason jars are making the rounds around Pinterest. They’re a plant that “thrives on neglect,” but they aren’t being neglected! These little cute green guys are popping up everywhere on blogs, in tiny pots, in jars, and even in furniture. If you need instant green in your room, you can turn to a succulent. Don’t you love beachy decor? I do! It even inspired my Summer Sign Collection. We all seem to love bringing elements of the beach into our homes, and why not? The beach is great. You can see in the trends with decor such as rope, oars, and other nautical elements. You’ve seen the tiny houses online and on TV, haven’t you? It seems like these small-scale homes are inspiring us to use things in new ways. I’ve seen small closets reworked into home offices and homeowners mounting furniture on the wall to save space. It’s a good way to effectively use your space and make sure you really use the things you have well. I know millions have read that book The Life-Changing Magic of Tidying Up: The Japanese Art of Decluttering and Organizing , and it seems like many bloggers are doing decluttering challenges. Just because you don’t live in a tiny house doesn’t mean you can’t think tiny, right? 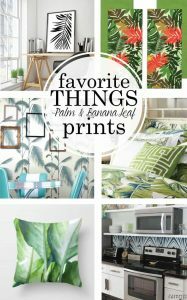 Here are just a few of the big summer 2016 trends in decorating I’ve spotted. Do you know of any I missed? What trends do you like?